Bishop David Zubik of Pittsburgh said his diocese has changed. A Catholic bishop among those named in a grand jury report alleging widespread sexual abuse by hundreds of Pennsylvania priests pushed back against calls by a survivors' group for him to resign, saying he has never covered up sexual misconduct by clerics but has instead acted on allegations by victims. 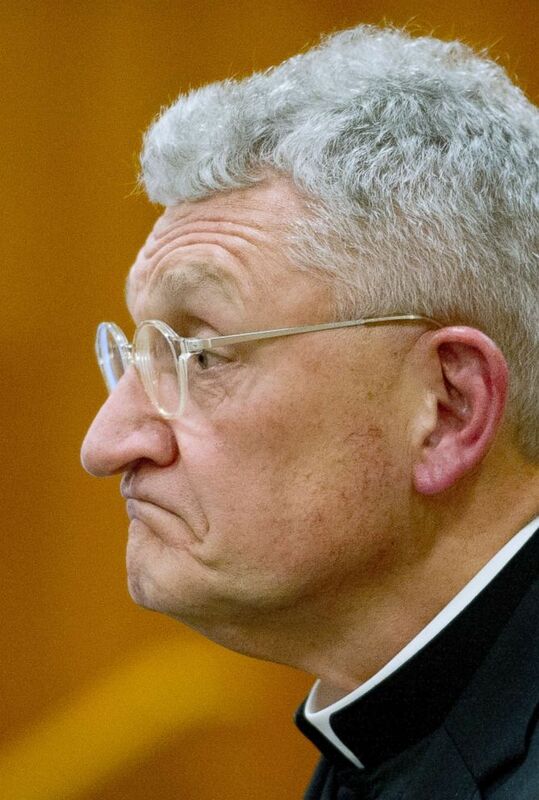 Bishop David Zubik of the Diocese of Pittsburgh told ABC News Chief Anchor George Stephanopoulos on "This Week" Sunday that since he became the leader of his diocese in 2007 he has worked to help victims and refer allegations of abuse to prosecutors. 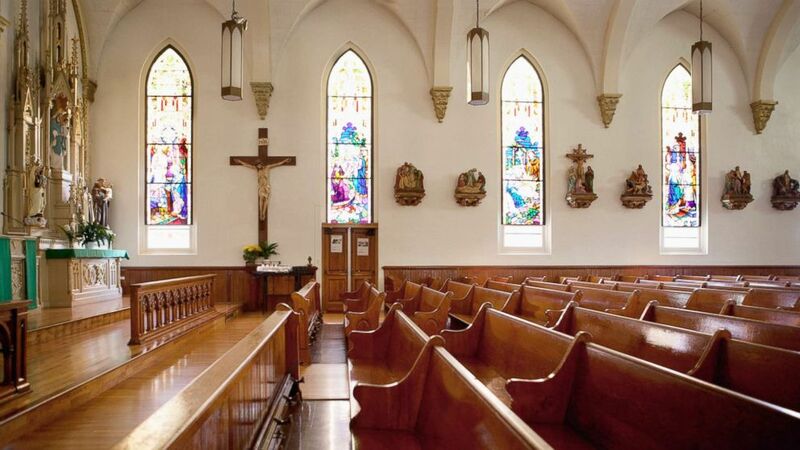 (STOCK/Getty Images) An undated stock photo of pews and stained glass windows in a church. "I can well understand the rage that people have in reading this report," Zubik told Stephanopoulos. "I feel that rage as well." “Most other U.S. bishops have admitted, at some level, in vague terms, that cover-ups have happened," SNAP said in a release. Zubik said on "This Week" that "the church of Pittsburgh today is not the church that’s described in the grand jury" report. “I can honestly say that we have followed every single step that we needed to follow to be responsible in our response to the victims,” he said. (Michael M. Santiago/Pittsburgh Post-Gazette via AP) Pittsburgh Bishop David Zubik speaks to the media after the release of a grand jury report on sexual abuse by clergy in the Pittsburgh Diocese and five other dioceses in Pennsylvania, Aug. 14, 2018, in Pittsburgh. Stephanopoulos pressed him, saying, "But you know the feeling out there is deep, that so many Catholics and others feel betrayed by the church hierarchy. What do you say to them?" "We have to be able to continue to look at the things that we have done to really correct this issue," Zubik said. More broadly, he said, "We have to look for new ways to be able to eradicate sexual abuse in the church, [and] to work together with all of society to eradicate [it] from society in general."